Drillstar taper taps and die collars are manufactured from high-grade alloy steel and cemented to ensure the highest strength. They are available in a wide range of sizes, and can be equipped with different types of guides. 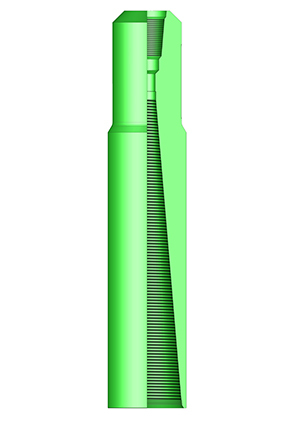 Drillstar taper taps are either plain or fluted, with four longitudinal grooves which allow the easy evacuation of cuttings. The hardened cutting teeth (wickers) are available with either right-hand or left-hand spiral. Firstly, they can be screwed into the washover subs, thus allowing the tap to be guided by an external tube. Secondly, due to the fine tapering of the threads, the tap can be screwed further into the fish head and will accept considerable pull without releasing the fish. 1.A taper tap with an upper pin thread. 2.A skirt with an upper box thread to screw on the tap, and a lower pin thread to receive a guide shoe on the protection. 3.A guide shoe adapted to the hole size (see available guides below), or a protector. Please download information sheet for more details. 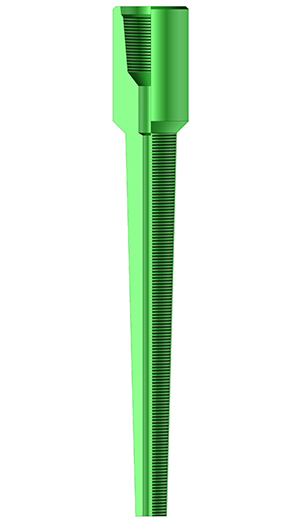 Like the Drillstar taper taps, they can be fluted with four grooves for easy elimination of the cuttings. They are bevelled at the base and can be easily engaged in the fish head. They can be either plain or threaded for fitting various types of guides (see info sheet). Drillstar die collars are available in a wide range of sizes. – Left or right-hand wickers. – Smallest and largest wicker diameter.